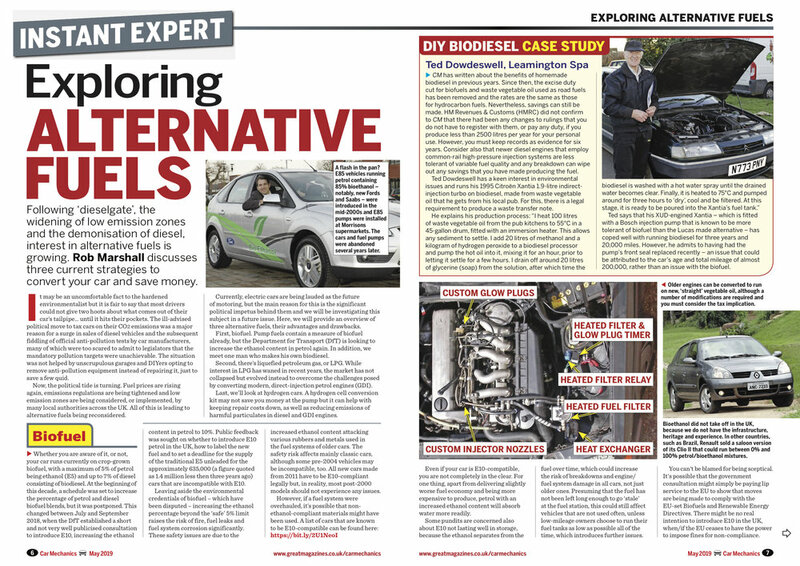 Alternative fuels The benefits of converting to biofuel, LPG and hydrogen. Budget paint jobs Alternatives to a professional respray. Britain’s Best Bangers Ford Focus MkI. MG & Triumph Spares Day Show report. Alfa Romeo GT 2.0 JTS Part three: We renew the filters, coolant thermostat and half the exhaust. BMW 5-Series Touring 530d E61 Part two: Why is the diesel particulate filter failing to regenerate? Vauxhall Astra J Buying the best. Aston Martin DB9 Sourcing new and used parts. 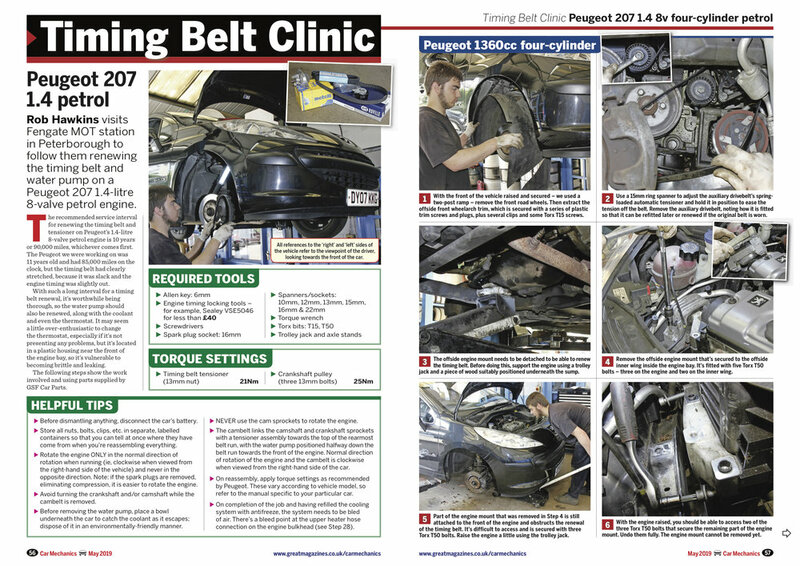 Peugeot 207 1.4 petrol Step-by-step cambelt swap. Land Rover Freelander 2.0 Td4 Electronic diagnostics. Auto electrics Part four: Circuit diagrams. Dealer's Diary A Fiesta sale goes horribly wrong. Our Cars John Ward’s Volvo C70. In My Humble Opinion Mike Humble remembers his driving test. WIN Clarke parts washers Worth more than £430. WIN Draper combination roller cabinet tool chests Worth more than £585 each.